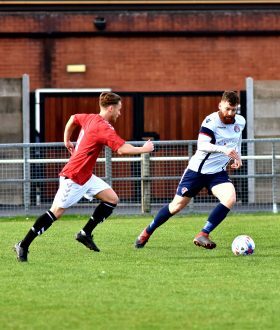 Mick McGraa’s side headed in to their game against Wythenshawe Town with 5 wins in their last 6 games with their opponents winning 4 out of their previous 6 which as well as their positioning’s in the table poised it to be a close game at the Syncreon Arena. Vauxhall started the game the brightest with a chance 6 minuets into the game getting cleared off the line by a Wythenshawe defender. 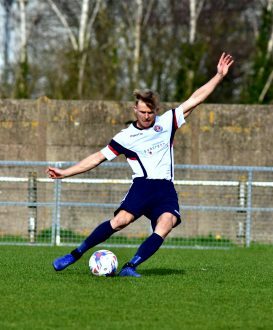 The Motors also had a few half chances down the right hand side featuring Joe Brandon and George Hassall which didn’t come to anything. 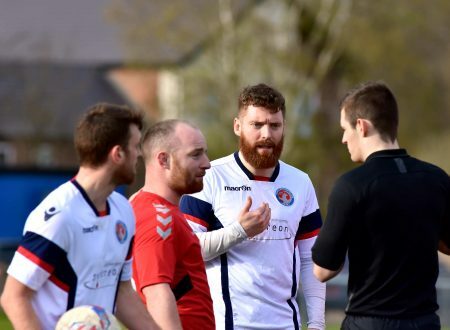 Despite Vauxhall’s early chance, Wythenshawe began to dominate possession with Captain Tom Mitchell giving away a foul on the left hand side to the anger of the Wythenshawe bench. Town got closer to taking the lead when Ashley Leather’s cross almost deceived Goalkeeper Leigh at his far post however deflected of the top of the crossbar. 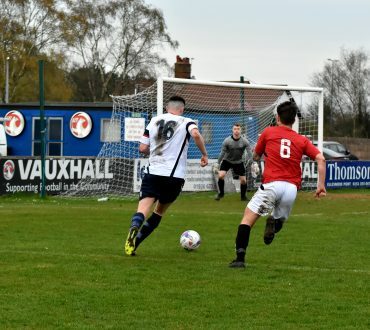 Finally, Wythenshawe got the break through with Grant Spencer when he took the ball past Tom Mitchell and sent keeper Kristofer Leigh the wrong way. Ashely Leather once again almost doubled their lead smashing the ball into the side netting moments after their opening goal. Vauxhall started the 2nd half much brighter with an early chance at the far post just got headed wide after 2 team mates clashing. 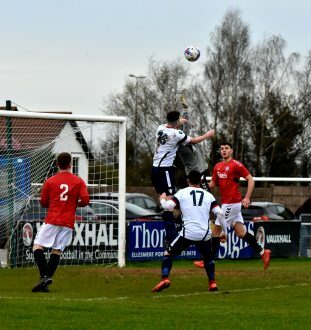 Haydn Cooper’s strike was the closest the Motors had come when Wythenshawe Goalkeeper Mason Mostyn tipped it on to his post and behind for a corner. 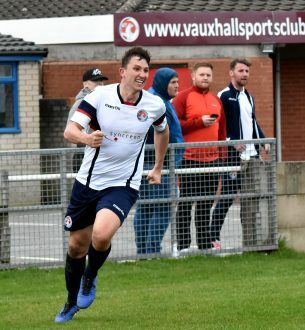 Vauxhall continued their hunt for an equaliser when Mason Mostyn pulled off another fantastic save off Joe Brandon’s shot which was heading for the top right hand corner of the goal. After numerous chances coming close Vauxhall finally found their equaliser when an unfortunate deflection off Matty Roberts in added time ended up in his own net gaining Mick McGraa’s side a late point. Motor’s came close to making it an injury time comeback when Dave Webb’s free-kick rooted the Wythenshawe keeper to the floor but just went wide of the post.